State Comptroller Yosef Shapira has called for an umbrella organization to be set over the non-profit organizations that are fighting government, corruption in Israel. At tonight's (Thursday) OMETS (Citizens for Good Governance and for Social-Legal Justice) awards presentation in Tel Aviv, Shapira said that his door would always be open to representatives of all of the NGOs. Shapira, Lindenstrauss tell MKs of efforts to improve country’s record on money-laundering, other corruption. Two state comptrollers, current and former, on Wednesday signaled their determination to face down corruption at a meeting of a Knesset lobby, in the wake of reports stating Israel has a bad record fighting money-laundering and related crimes. 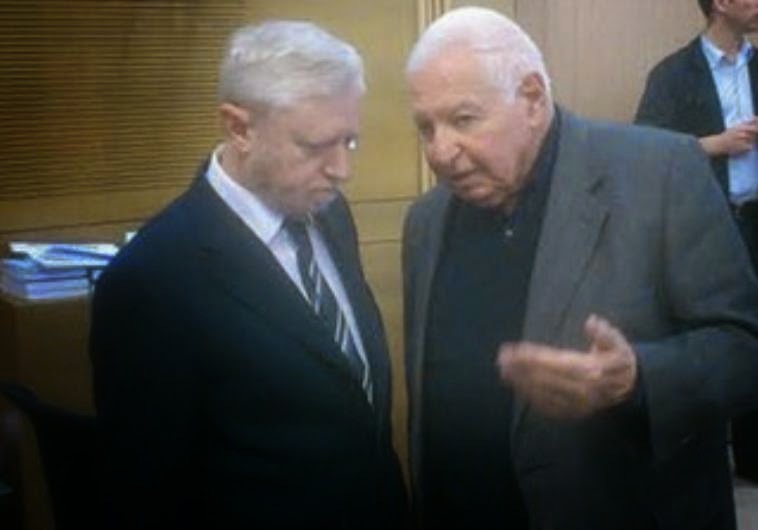 The meeting of the Lobby for the Struggle Against Corruption in the Public Sector was attended by Joseph Shapira (current comptroller), Micha Lindenstrauss (former comptroller), Justice Minister Tzipi Livni, opposition leader (Labor) Isaac Herzog, Labor MK Shelly Yachimovich and other top officials. The two reports, which came out last month, were from a monitoring body of the Council of Europe, Moneyval, which harshly criticized Israel for being its only member country failing on certain obligations in fighting both money-laundering and terrorism financing, and a report by the Israeli chapter of the International Transparency NGO (run by Lindenstrauss) placing Israel 23rd out of 34 OECD countries in fighting corruption. During the hearing, Shapira announced that he had “decided to start a new beginning in checking the claims of Rafi Rotem,” a former top tax official who has been claiming for years that he was fired improperly for trying to serve as a whistle-blower regarding illegalities by the Israel Tax Authority. Rotem has had supporters from many corners calling for some time for the state to grant him a special whistle- blower status and to compensate him for alleged retaliation against him that reportedly was a factor leading to him being ruined financially. Shapira also cited a number of his efforts to fight corruption and ensure ethical conduct, including an initiative for the state to finance legal defense costs for whistle-blowers when those whom they blow the whistle on try to sue and silence them. Another initiative was to obtain protective court orders to prevent firings and other retaliation against whistle-blowers, he said. Channel 10 journalist Raviv Drucker briefly had a spat with Shapira in which he implied that Shapira had been weaker in hunting down corruption by top officials than Lindenstrauss had been. Lindenstrauss said the work of organizations attending the meeting against corruption was “further praise of Israeli democracy” and sounded a positive note in fighting corruption despite the problems described in his report. Livni said that the reports showing problems with Israel’s efforts against corruption were valuable, but that whether the data is not ignored, but is used to fix the problem, is important. Other actions Shapira said he was pushing for to fight corruption, particularly surrounding elections, were heavy fines for election-related violations, publicizing the names of guarantors of contributions for candidates and not only their donors, and calling on the state to finance primaries to even the playing field between richer and poorer potential candidates.